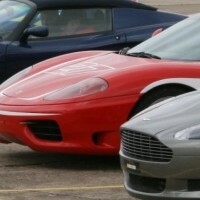 Test your skills with a supercar track day at one of the UK's many racing circuits. Your method of speed machine will be Ferrari, Aston Martin, Porsche 911, Lamborghini or Audi R8 - or all of them as part of the Ultimate Supercar Experience! Put your driving skills to the ultimate test with a supercar track day at one of the UK's many racing circuits. Your method of speed machine will be Ferrari, Aston Martin, Porsche 911, Lamborghini or Audi R8 - or all of them as part of the Ultimate Supercar Experience!